The last decade has been one of constant change for Greenville, South Carolina. It wasn’t that long ago that the downtown area appeared almost abandoned, with little activity or business taking place. The revitalization of the city, particularly the downtown area, has brought new life to this once aged mill town that surprised residents. M. B. Kahn is proud to be part of the restoration Greenville, SC has undergone over the years, offering contractor services designed to keep the city moving forward. The Hughes Library, dedicated on October 6, 2002, has approximately 119,000 square feet. It is a three-story, poured in place concrete (self-performed) structure with two public floors, and a design which would allow an addition of a fourth floor when needed. 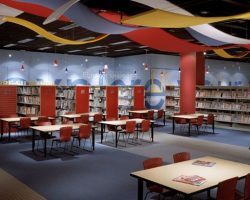 The facility features 105 rooms including study rooms, a children’s program room, large meeting rooms, a computer training lab, and many other amenities. The Hughes Library is the second largest public library building in the state of South Carolina. In early August 2015 BMW awarded M. B. Kahn the contract to expand their LC-1 Building approximately 110,000-square-feet on two sides. BMW’s production process requires that they continuously receive parts at the LC-1 facility for feeding into their adjacent assembly lines throughout the entire construction period. To meet this logistical challenge, M. B. Kahn will complete the expansions concurrently on both sides in phases, putting new docks into operation incrementally before the adjacent existing docks are taken out of service, thus allowing the expansions to proceed. This five-story, 448-bed detention center was implemented under a design-build approach. 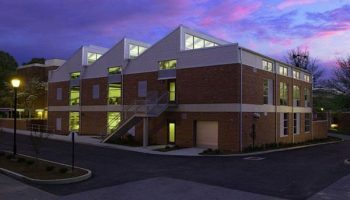 M. B. Kahn’s own crews were utilized for the post-tensioned poured-in-place concrete structure, masonry security walls, and detention furniture, fixtures, and equipment. The exterior skin of the structure is pre-cast concrete. This project was designed and built inside 20 months. This first-of-its-kind facility for General Electric serves as an incubator for the development of advanced manufacturing processes and rapid prototyping of new parts for GE’s energy businesses: Power, Renewable Energy, Oil & Gas, and Energy Connections. It is approximately 132,400 square feet, consisting of a two-level Customer Experience Center with the balance being manufacturing space utilizing digitized cutting-edge technologies. The facility highlights customer visibility through three glass-fronted manufacturing pods adjacent to the lobby, each dedicated to 3D printing (both metals and composites), laser drilling, and robotics, as well as a customer observation deck overlooking the manufacturing space. The kiosks and training spaces for GE engineers and customers employ high-performance electronic information-sharing systems and interactive displays to merge the physical and manufacturing worlds with the digital world. The Central Transit Transfer Facility in downtown Greenville is the main transfer facility for the Greenville Transit Authority (GTA), the city’s mass transit company. The GTA Transfer Facility is located on the lower ground level, while the upper level is a public parking deck complete with planters and skylights that provide natural lighting to the Transfer Facility below. Construction funding was provided by a consortium of local and federal public agencies. 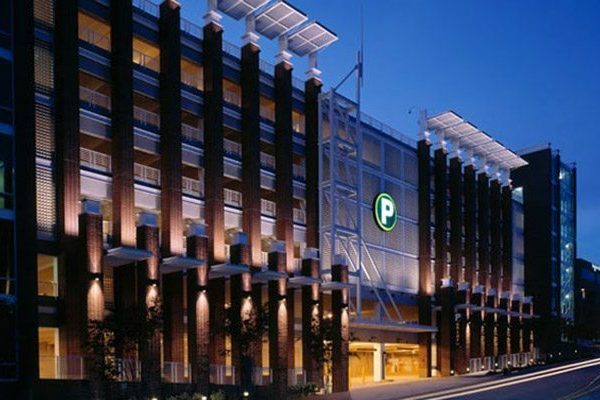 Constructed in downtown Greenville adjacent to a major office building, this 905-space pre-cast parking structure was further designed to accommodate residential condominiums at both the east and west elevations. The parking structure with its aesthetically appealing facade of face brick and architectural aluminum metal rests on a foundation of drilled caissons and related concrete grade beams and poured-in-place walls. Four totally glass enclosed elevators and stair towers provide user access between the levels. The undersides of the elevated decks were painted to enhance the light level. This 42,000-square-foot of executive offices for the administration, accounting, and engineering management personnel of the Greenville Water System includes data processing and boardrooms. The building is a multi-story steel frame with custom masonry veneer and Vermont slate roof. Extensive upscale finishes were used throughout the interior and exterior. This renovation project included converting the existing shell & core space (originally designed as a conference center with cafeteria) into a 500-seat call center with ancillary training and office space. The project included adding steel framed structure adjacent to existing glass curtain walls within the existing shell atrium to create 12,000 square feet of additional floor space on two new elevated floors. Extensive electrical, data cabling systems, HVAC systems, and high level finishes were added to the original shell. The owner mandated accelerated completion of the work, which was accomplished ahead of schedule via fast tracked design and construction practices and the use of extended work days and double shifts. The second portion of the project consisted of renovations to each floor of two, four-story office buildings, all of which had been previously completed with high level finishes. Approximately half of the work scope took place in occupied areas, which required increased protection, clean up, and security during night and weekends when construction work took place. The work included significant electrical and data system renovations, and complete removal and construction of individual office spaces. Work was phased to follow elaborate occupancy and move in dates to several lines of business. This structure includes 1,192 parking spaces, plus a 20,000-square-foot office tower that features a gallery/display area, a fitness center, and offices for CU-ICAR staff; the ground floor also has retail space. This six-story precast parking structure has been designed to accommodate the parking needs for Technology Neighborhood I. Special features include an architectural mesh on the façade as well as structural glass panels mounted in articulating attachments. This project has been certified at the LEED® Gold level under the U.S. Green Building Council guidelines. M. B. Kahn is currently constructing a stand-alone two-story addition to accommodate four hundred additional students at the existing J. L. Mann High School Campus. The addition includes classrooms, science labs, and ancillary spaces. The project also involves additional seating, athletic field lighting, and restroom facilities at the current football stadium and is scheduled to be completed in Summer 2017. Greenville is ranked as one of the top ten best downtowns in the country by Livability and called “a National Model for a Pedestrian Friendly City Center” by The New York Times. Restored landmarks throughout the city draw in more and more residents and tourists, who want to be a part of its vibrant growth. M. B. Kahn feels privileged to be part of the city’s revitalization, which continues to bring it back to life in a way that positively impacts its people and the surrounding areas.